Natural Wax timber seal. upholstery fabric to specification. 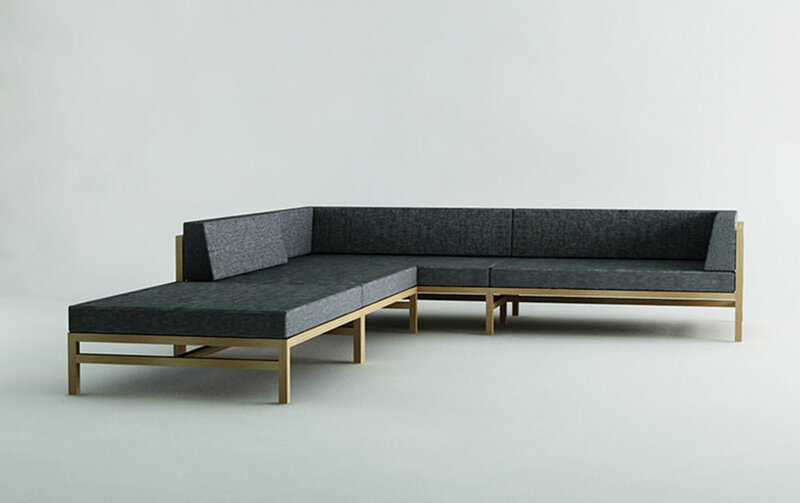 The Square Sofa is a modular sofa system that is able fit compact spaces, due to its configurable form. This makes the Square Sofa ideal for confined and open plan living alike. The sofa features a slender yet sturdy American Oak frame, re-enforced with steel. Available in specified fabrics. Edward Linacre and Viktor Legin are Copper.